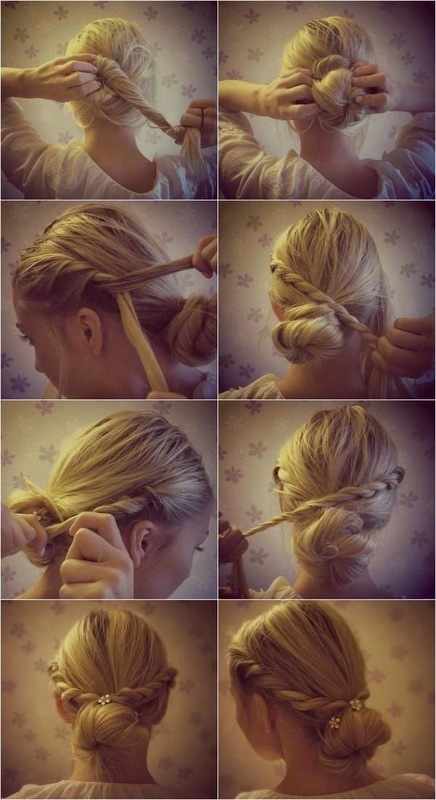 This is a fabulous Vintage braided bun boho hairstyle. The side cut braid and the low bun presents people a trendy and luscious look. Here are the steps.